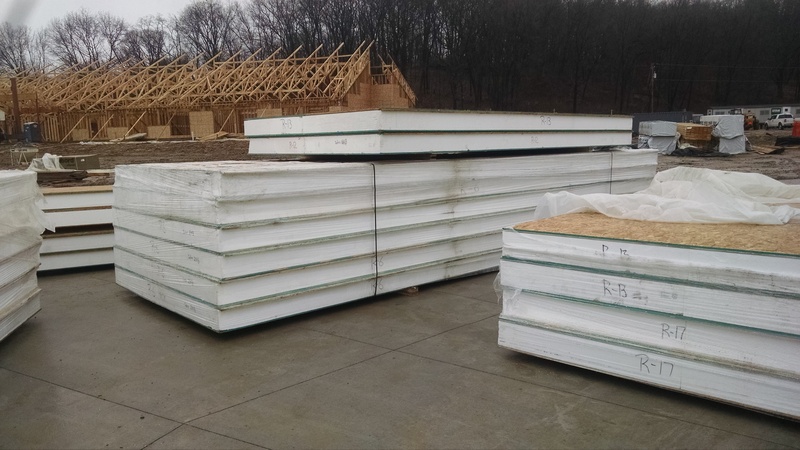 Structural Insulated Panels (SIPs) have arrived. These panels go under the roof to provide insulation. 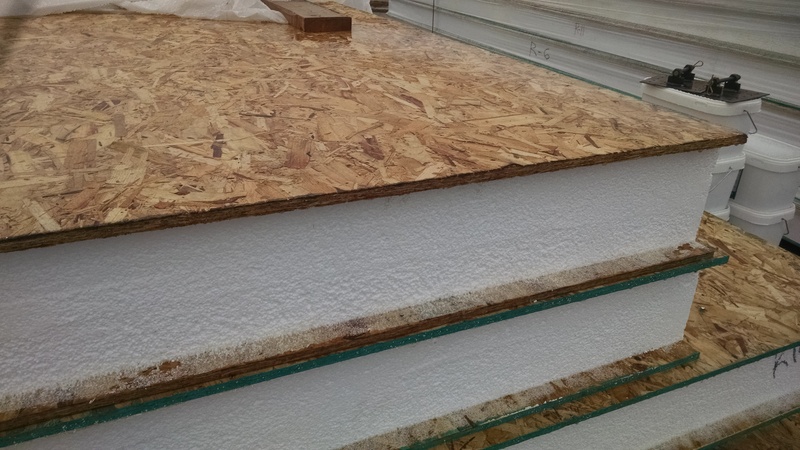 The panels consist of expanded polystyrene, sandwiched between 2 sheets of oriented strand board. 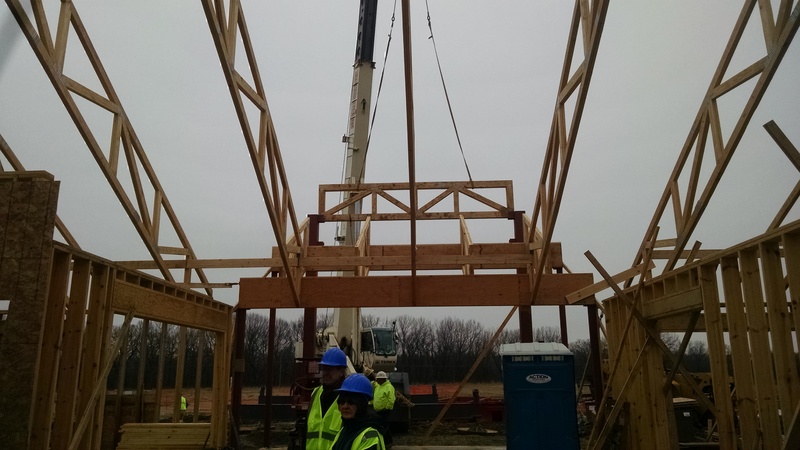 By prefabricated the panels offsite, they are made efficiently to the exact dimensions they need to be for installation. This allows Ryan Companies to install them efficiently and minimizes waste. 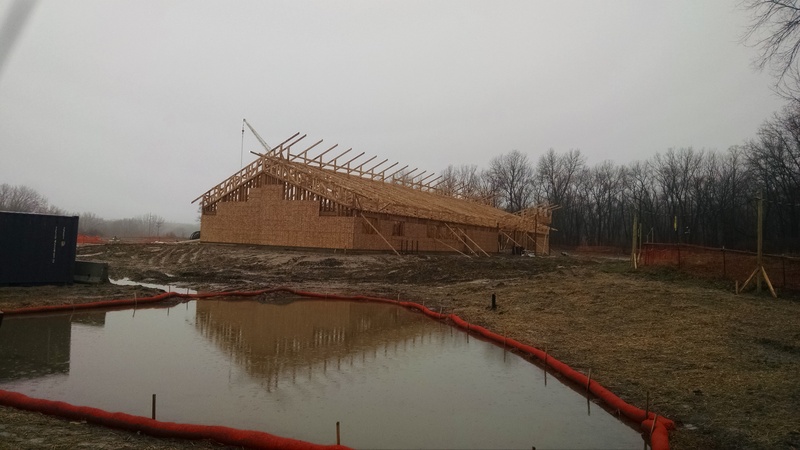 Combined with the standing-seam metal roof, they will provide an insulating R-value of 30. < Previous What’s in the Wood?